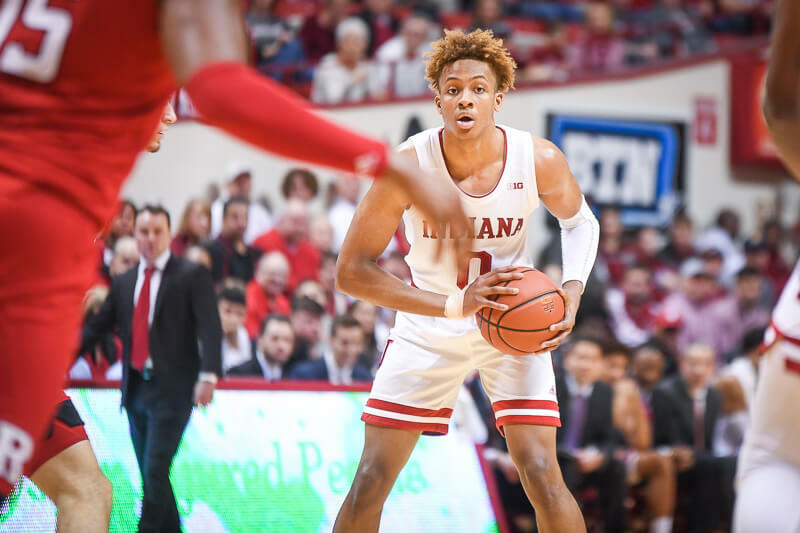 It was a closer result than expected, but Indiana improved to 4-1 with a 78-64 win over UT Arlington on Tuesday night at Simon Skjodt Assembly Hall. • Injuries continue to take their toll on IU’s depth: In the preseason, it appeared Indiana would boast one of the Big Ten’s deepest rosters. But through five games, injuries have ravaged the roster. Zach McRoberts, Race Thompson and Devonte Green were out again on Tuesday and De’Ron Davis missed the contest with a sore Achilles after playing extended minutes against Arkansas. Jerome Hunter is out indefinitely with no timetable for his return. Al Durham then took a hard fall in Tuesday’s game and had to leave the game. And in the final minutes of yesterday’s win, Romeo Langford took a shot to the nose and couldn’t return. That’s six different scholarship players who have been affected by injuries this season and the lack of depth showed up in the form of poor perimeter shooting, poor defense at times and turnovers. With a trip to Duke looming next week followed by games against Northwestern, Penn State, Louisville and Butler, Indiana needs to get healthy soon or the next month could be rough. 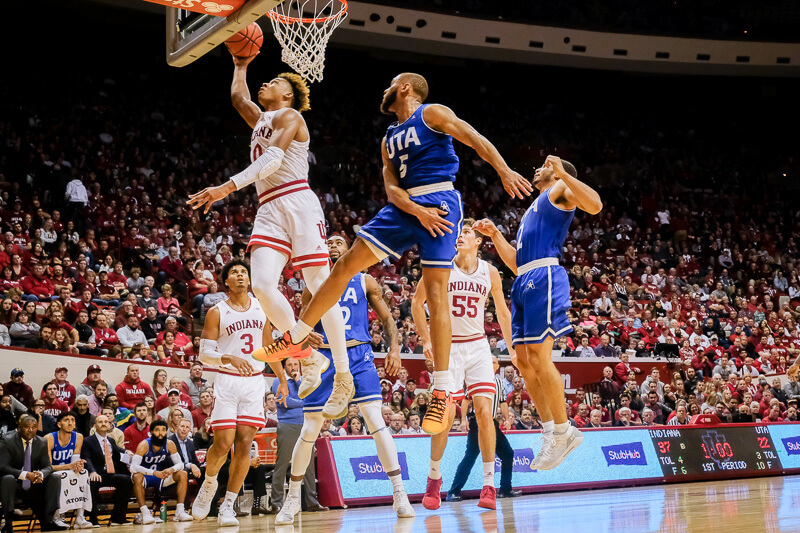 • Morgan dominates undersized Mavs: UT Arlington was scrappy defensively and did a nice job of forcing Indiana into unnecessary turnovers, but their undersized roster had no answer for Juwan Morgan. Morgan had his second double-double of the season (23 points, 10 rebounds) and when Indiana needed him most down the stretch, the senior forward delivered. After UT Arlington drew within one at 61-60, Morgan scored or assisted on four of IU’s final seven field goals. • Turnovers help keep UT Arlington close: Indiana struggled to take care of the ball against Arkansas. Things were even worse against UT Arlington. The Hoosiers turned it over 18 times for a turnover percentage of 25, a season-high through five games. Indiana currently ranks 219th nationally in turnover percentage (20.9) and fortunately for the Hoosiers, UT Arlington was only able to score 12 points off of turnovers in the win. • Even with limited depth, Forrester and Moore don’t get off the bench: If you were looking for an answer on where Jake Forrester and Clifton Moore stand in the IU rotation, Tuesday provided a pretty good answer. Despite being down several key pieces, Forrester and Moore didn’t enter the game. Whether it’s a lack of trust to put either guy in based on their inexperience or lack of production in practice, both Forrester and Moore are currently on the outside of this team’s rotation. 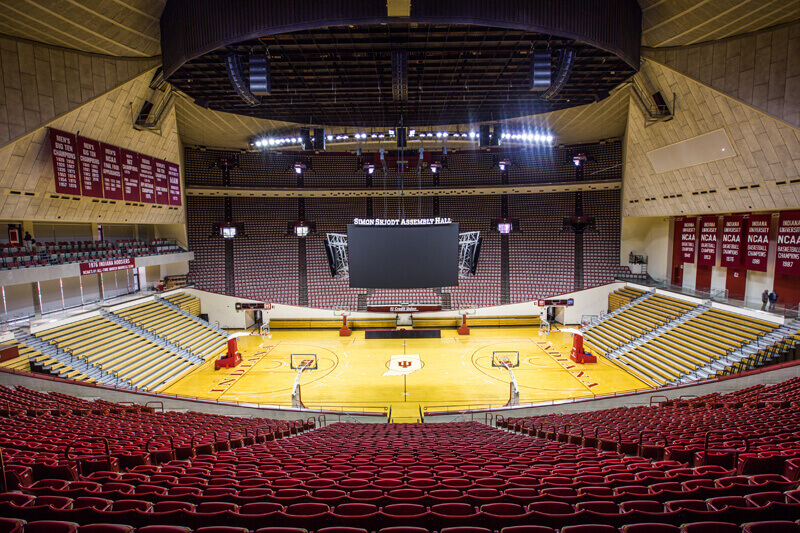 And as IU begins to get some of its injured players back, it’s hard to see that changing. 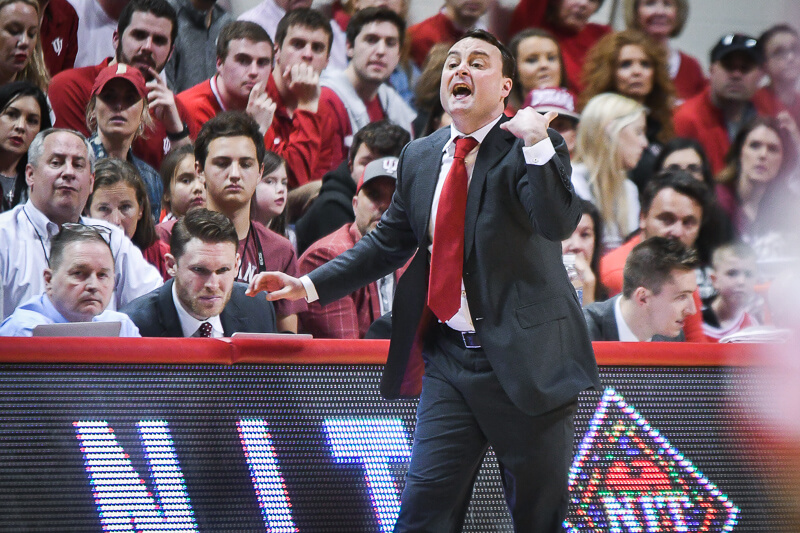 • Defense a major strength: There are plenty of question marks right now with this group, but the reality is that IU is a missed tip-in away from a 5-0 record. And a primary reason for the success thus far has been the defense. Through five games, IU is ranked in the top 20 in adjusted defensive efficiency, according to Ken Pomeroy. The Hoosiers were carved up at times in the second half against UT Arlington, but when they needed stops down the stretch, this group was able to dig deep to get them. Over the game’s final 6:33, UT Arlington scored four points. Indiana held the Mavericks to .87 points per possession and has yet to allow over a point per possession this season.